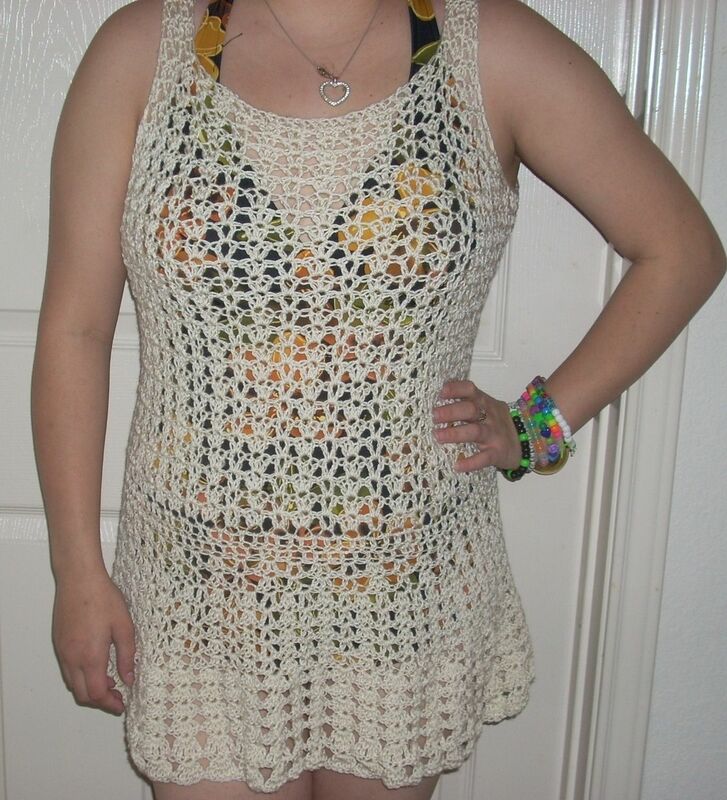 Hand crocheted swimsuit cover up. 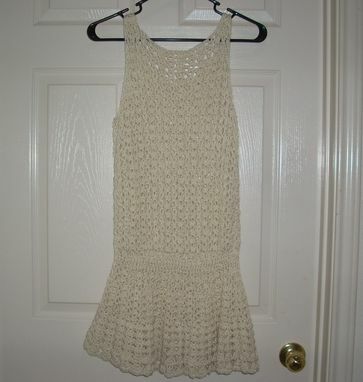 Perfect for the pool or beach. Can be made in XS to XXL adult. 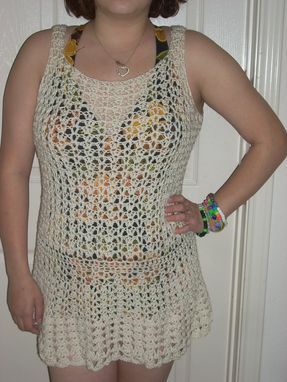 A variety of colors and yarns are available for this.